BSkyB has acquired Virgin Media Television for up to £160m and entered into a number of agreements providing for the carriage of certain Sky standard and high-definition (HD) channels. Today's acquisition will expand Sky's portfolio of basic pay TV channels and eliminate the carriage fees, in the region of £40m, it pays for distributing VMtv channels on its TV services. The acquisition will also result in Sky assuming responsibility for selling advertising for the newly acquired VMtv channels from January 2011. New carriage agreements will secure wholesale distribution of Sky's basic channel line-up, including Sky1 and Sky Arts, and the newly acquired VMtv channels, on Virgin Media's cable TV service. 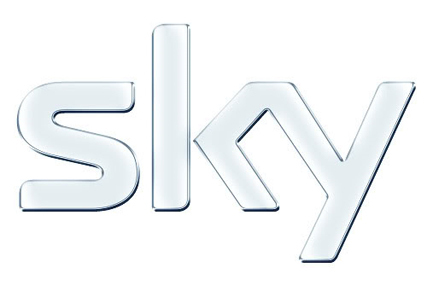 Sky is believed to have fought off bids from Channel 4 and RTL to secure the acquisition. The broadcaster will pay £105m on completion of the deal, with the remainder following regulatory approval. The seven VMtv brands included in the deal are Bravo, Bravo 2, Challenge, Challenge Jackpot, Living, LivingIt and Virgin 1. Completion is conditional on obtaining merger control clearance in the Republic of Ireland and the OFT in the UK said it was "too early" to know if it needs investigating under its merger control regime. The deal also stands to give Virgin Media access to red button interactive sports coverage and the opportunity to deliver selected standard definition programming over the internet. Jeremy Darroch, chief executive of BSkyB, said: "VMtv is an attractive investment opportunity which complements our existing content business and delivers strategic and financial benefits. Sky and Virgin Media TV have been bitter rivals ever since the formation of the cable operator through the merger of Telewest and NTL in 2005. From the outset James Murdoch, then chief executive of BSkyB, infuriated VMtv management when he secured a 17.9% stake in ITV in late 2006, thwarting a potential takeover by Virgin Media. The move ultimately lost Sky in the region of £350m after it was forced by the Competition Commission to sell the majority of its stake in ITV for £196m this February. At the start of 2007, the two TV companies began a very public war of words over a dispute over carriage rates for the use of Sky's major channels. Relations hit rock bottom in March 2007 when Sky stopped airing its channels on the cable network altogether, leaving 3.3 million subscribers unable to watch the end of several high profile series such as '24',' Lost' and 'Nip/Tuck', along with popular shows like 'The Simpsons'. Both parties blamed the other for being unable to reach a satisfactory agreement, in a stalemate which raged for more than 18 months. Sky's basic packages – including Sky One and Sky Sports News, only returned to Virgin Media TV on 13 November, 2008, amid the threat of pending High Court proceedings. The two companies are believed to have cooperated better since Darroch assumed control from Murdoch after being promoted in December 2007 from chief financial officer. Last year, Virgin Media pushed ahead with plans to take a secondary listing in the UK in a bid to raise its domestic profile and the number of its investors. At the time, Neil Berkett, the chief executive of Virgin Media, said the company was at an "inflection point" after "another solid" financial performance and was "extremely attractive" for investors. Berkett, today, said: "The sale of our channels business has generated substantial value.